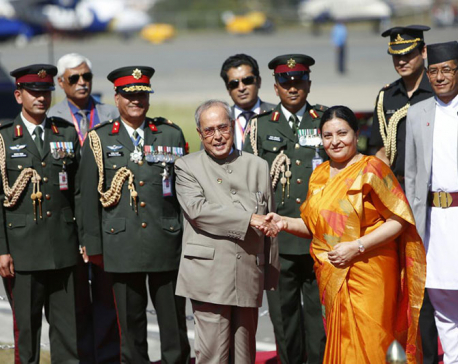 Indian President Ram Nath Kovid and President of Nepal Bidya Devi Bhandari. 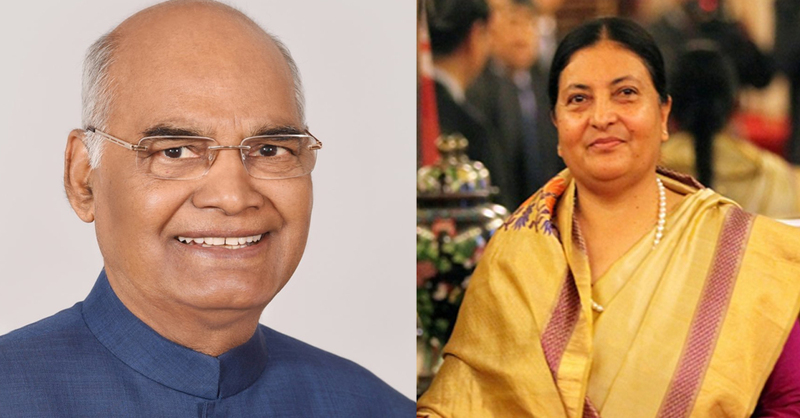 KATHMANDU, Mar 15: Indian President Ram Nath Kovind on Thursday congratulated President Bidya Devi Bhandari on her election to the post. President Kovind, in a congratulatory letter sent to President Bhandari, said "Nepal will move forward on the path of prosperity and development under her guidance." 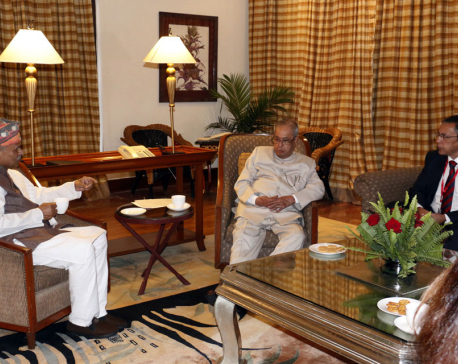 Meanwhile, Indian President Kovind looks forward to working with Bhandari and further strengthening wide-ranging bilateral cooperation.